Can art help cultures and nations to communicate? Can it contribute to constituting an intercultural dialogue? Can paintings stimulate us to reflect on history? Can seeing suffering make us better, can it change something within us? These questions are discussed by Agata Lorkowska, the curator of the Goya and Michałowski exhibition in a book of the same title. The publication is an unusual exhibition catalogue: it contains an extended curatorial text by Agata Lorkowska , an essay by Agnieszka Rosales Rodriquez, descriptions of the works and their reproduction. The uniqueness of the book is based in an extended graphic design by Ryszard Bienert, who managed to create a consistent system of contents presentation. At first glance it may seem unclear, it resembles an anti-guidebook rather than a map of the exhibition. However, looking closer readers can see the consistency between the theme of the works exhibited and the design of the book. 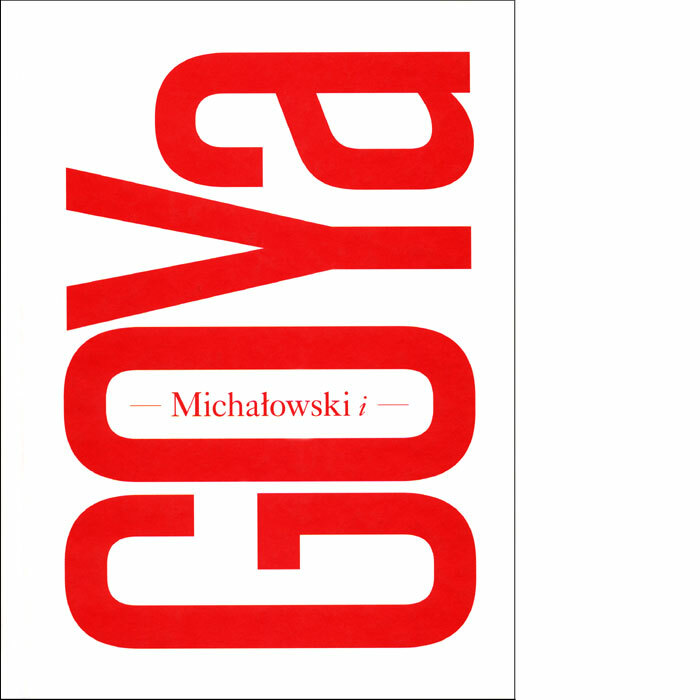 Publication accompanying the exhibition: „Michałowski and Goya” which took place at Muzeum Sztuki Pałac Herbsta Łódź (15.06-20.07.2010).